Drones are not for driving your car over, but Aerodyne Nimbus 195 is just robust enough to let you do that. The Aerodyne Nimbus 195 is designed by Aerodyne-RC; a Russian company established by a small group of engineers passionate about drones and drone racing. 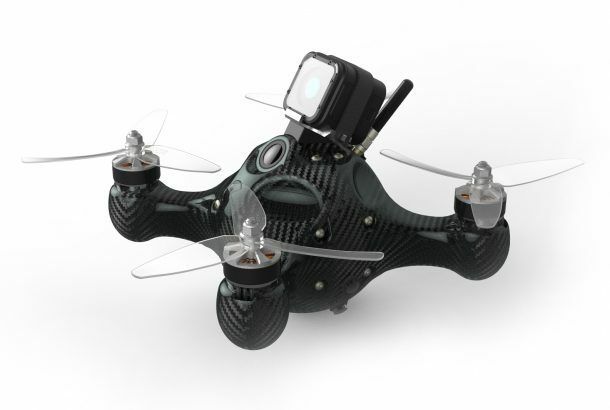 Nimbus is a spherical, carbon fiber monocoque exoskeleton-based, First Person View (FPV) racing drone. The carbon fiber exoskeleton is robust enough to take a beating, a dunk in a puddle or snow, or even be run over by your car. Most racing drones are built on a multilayered flat carbon frame, but Nimbus is different. The equipment is integrated into carbon monocoque exoskeleton, the insides of which are formed by a cavity mold with thickness varying from 1-4 mm depending on the stress it needs to take. Even with IP54 class protection from rain and the super lightweight, the aerodynamics have not been compromised at all. With minimum air resistance, best speed, and maneuverability, the drone has the most efficient streamlined shape for omnidirectional flight. 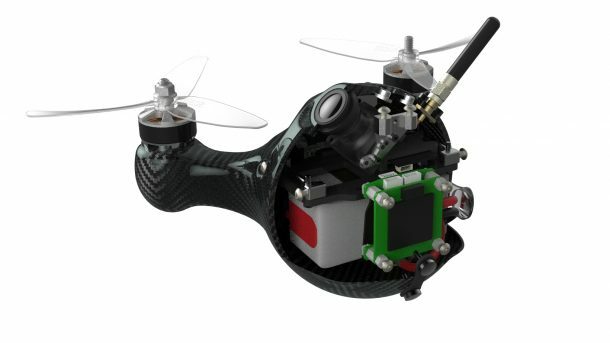 Equipped with the newest F4 flight controller, the frame size of the drone is 195mm. 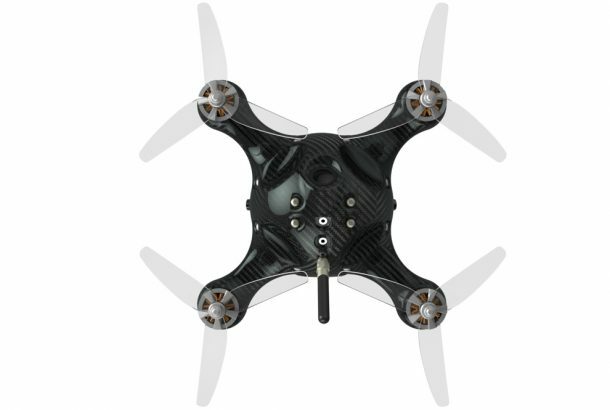 The drone uses 2206, 2600 KV motors, a 30/45 deg adjustable FPV camera HS 117/1190, an On Screen Display (OSD), and titanium fasteners for durability. Frame only, BNF and RTF versions are also available. Be prepared for your next drone race because with Nimbus, you will survive practically any collisions or crashes.